If the default pass-code is changed to another number and permissions are set to None, be sure to write that number down somewhere you can find it. 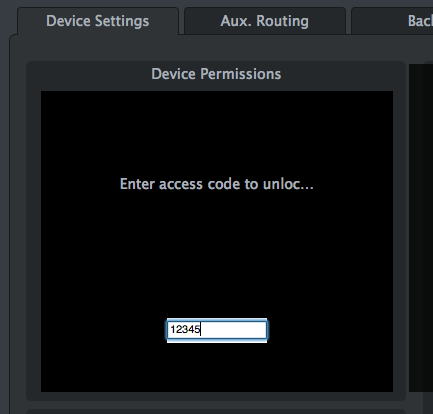 If you don't remember your pass-code, the only way to set the pass-code back to the default (1 2 3 4 5), is to do a firmware recovery. How do you save and load scenes on an RM series mixer in UC Surface? 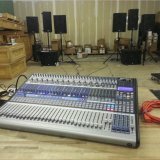 What’s the best way to run headphones for FOH when the StudioLive RM mixer is on stage? How soon is this update for UC-Surface coming out with the Filter DCAs? Can you record with one computer and run UC Surface for control on a separate computer? How to do a firmware update with a USB Thumb Drive on a StudioLive RM series mixer? Is UC Surface Available for download?